During busy times, the Brush Creek Road/Wood Road intersection routinely receives a failing grade. 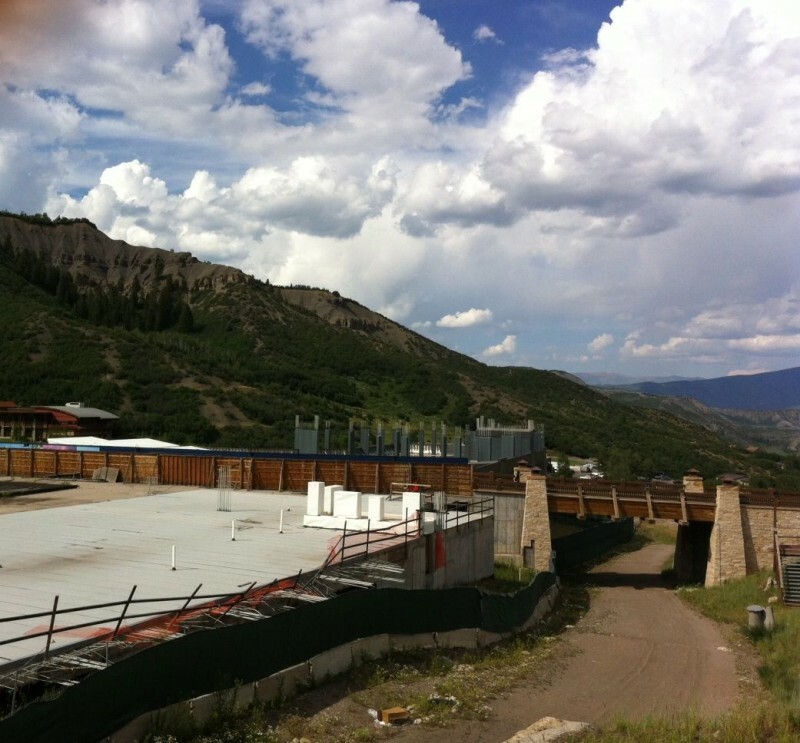 SNOWMASS VILLAGE – Long delayed by political wrangling and the start-and-stop nature of the Base Village development, the Wood Road roundabout is now more of a safety concern than a bargaining tool. As increased tourism puts a further strain on how vehicles function in Snowmass Village’s busiest intersection, a serious accident last winter laid bare its failing to pedestrians. Now seven years overdue, some believe the roundabout’s time has finally come. With the Base Village minor PUD application moving toward Snowmass Village Planning Commission review beginning July 23, the traffic circle is one of the public improvements taking center stage in the negotiations between Snowmass Acquisition Company LLC — the Related Colorado subsidiary that repurchased all of Base Village — and a town anxious for movement on its stalled signature development. Related Colorado has asked for a five-year extension to its vesting, which is set to expire on Nov. 3; the town has countered with a proposal for a three-year extension with an automatic two-year extension if certain “milestones” are met. Those milestones include final plans and financial guarantees for a May 2015 start on the roundabout. The roundabout was front and center in Ordinance 21, Series of 2004, which was the Base Village approval agreement when the project was developed by Aspen Skiing Co. and Intrawest. Its schedule was tied to the development of specific buildings and lots. Madeleine Osberger / Aspen Journalism. 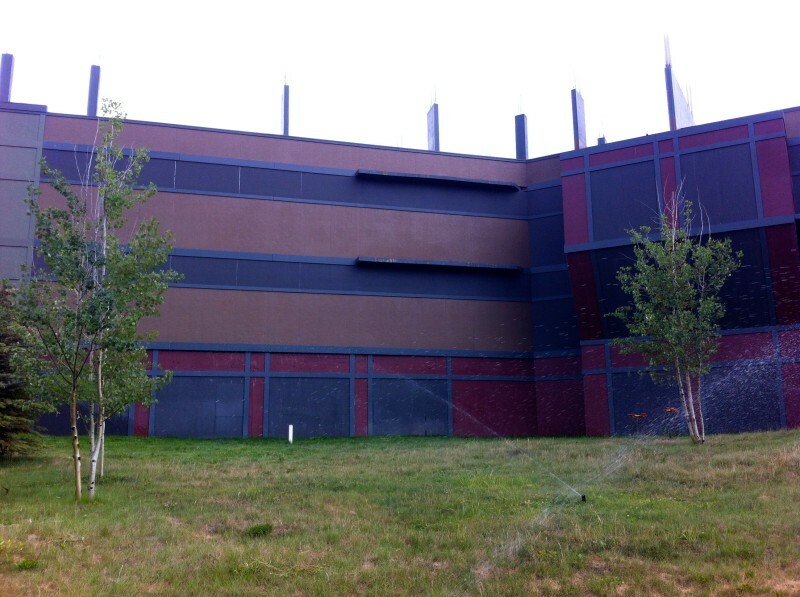 Base Village's back-of-the-house, with its empty platforms and falling down fences, leaves something to be desired. The roundabout corner was troublesome even before a single shovel of dirt was moved for Base Village, according to data from transportation planners Felsburg, Holt & Ullevig. But since the 2004 approval, a new Town Hall and enhanced Snowmass Center have put additional pressure on the Kearns Road side of the intersection. Skico’s Treehouse children’s center contributed to the heavy backup on many winter weekends of Carriage Way, another prong feeding into the intersection. Vehicles idling halfway up the hill to the Snowmass Mall were not uncommon during the 2013/14 ski season. During busy times, the intersection regularly performs at a service level of “F,” Peckler confirmed. That historic data was bolstered by a “turning event study” conducted in January by the firm Schmeuser Gordon Meyer, Peckler said. Crossing on foot across what amounts to six lanes of asphalt can be daunting. In fact, a need for improved pedestrian access was identified early in the Base Village project and was answered, in part, with an idea for a gondola connecting Snowmass Center to Base Village. The landing pad still remains but the concept is never seriously discussed. A 2012 survey on hourly crossings of the road saw almost one person every minute navigating the intersection. “We’ve suffered a number of accidents there,” Peckler said, but none as serious as the one on St. Patrick’s Day of this year. That’s when, after exiting a bus, New York resident Hannah Park was struck in the crosswalk by a driver who didn’t stop. Police reports and a lawsuit filed last month in Pitkin County District Court said Park was severely injured and needed hospitalization for injuries inflicted by Randall Kimmell of El Jebel. Paint peels on the facade of Building 8, which was once eyed as a Little Nell Residences. While its future use is undetermined, the need to find a permanent home for the Snowmass Clinic is undisputed. 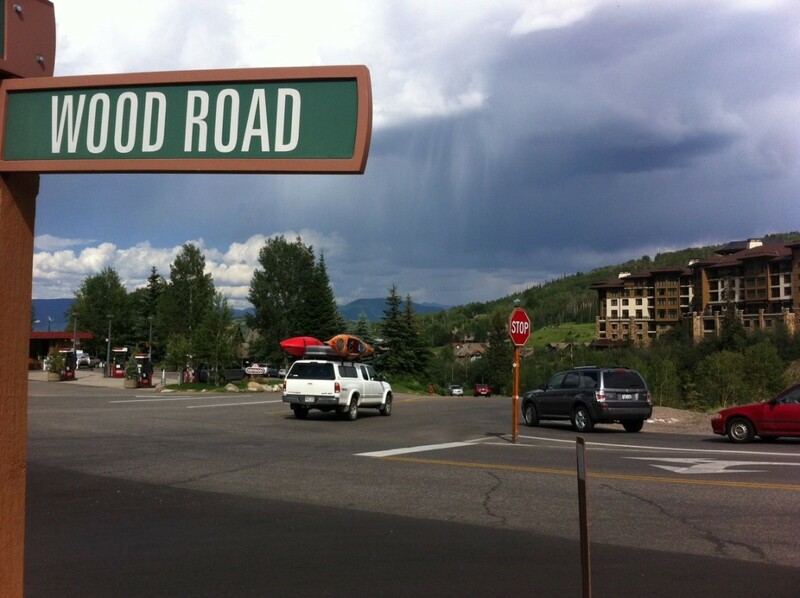 Included within the list of “milestones” put forward by Related Colorado in its vesting-centered application are completion of improvements to Upper Wood Road and the development of a public amenity such as an aquatic center. The town also is recommending the developer move up completion of the two “faux front” buildings along Wood Road, which are considered black eyes on the resort’s front door. One of those structures would house the town’s relocated medical clinic. Building 8 was planned during the go-go pre-recession days as the Little Nell Residences; space was also made available for the Snowmass Clinic. Recognizable by a fake facade that was only intended to last five years, the temporary fix on Building 8 is starting to show signs of wear and tear. Beyond aesthetics, however, lies another safety concern. Building 7 is the unfinished transit and welcome center that also sports a false front. Plans for a snow melting system near the entrance have been long delayed. “At the main entrance to the parking structure on Wood Road, the shaded area turns into a sheet of ice,” Peckler said. But the potential for a large crane working on future enhancements to the base area has put this lower on the priority list of project improvements. The main danger suffered this week at this location was guests who appeared confused about which lane to use. The minor PUD Amendment that will be reviewed by the Planning Commission beginning Wednesday addresses changes to the language in three Base Village agreements related to funding, development and subdivision improvements. This application doesn’t alter the project’s size, scale or phasing schedule. Those issues should be addressed in another application that will need to be submitted by the developer on Oct. 15 in order to satisfy that particular “milestone” with the town. Editor’s note: Aspen Journalism collaborated on this story with the Aspen Daily News, which published it on Monday, July 21, 2014.